This entry is by no means related to art but it’s worth sharing. 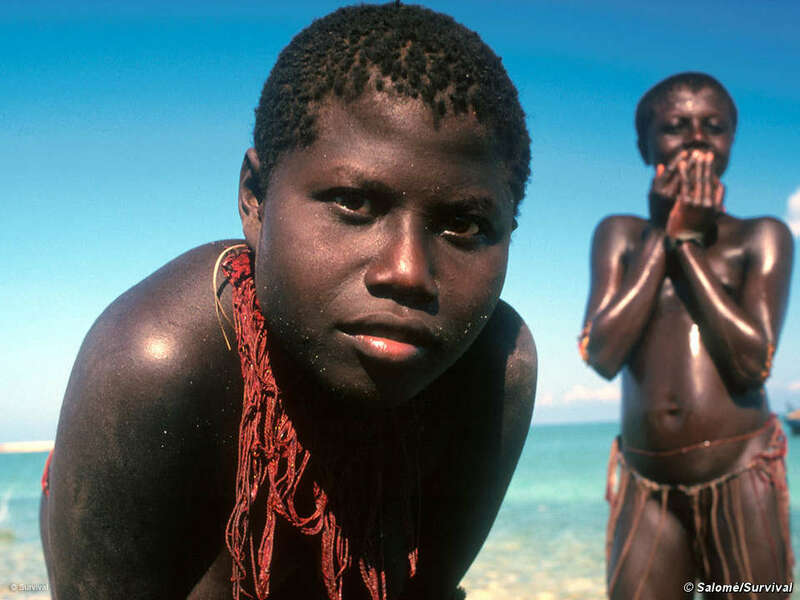 The Jarawa tribe of the Andaman Islands are thought to be part of the first successful human migrations out of Africa. Several hundred thousand Indian settlers now live on the islands, vastly outnumbering the tribes. The Jarawa, a nomadic tribe living in bands of fifty or so people, have started coming out of their forest to visit nearby towns and settlements since the late 1990s. The principal threat to the Jarawa’s existence comes from encroachment onto their land, which was sparked by the building of a highway through their forest in the 1970s. The road brings settlers, poachers and loggers into the heart of their land. This encroachment risks exposing the Jarawa to diseases to which they have no immunity, and creating a dependency on outsiders. Poachers steal the game the Jarawa rely on, and there are reports of sexual exploitation of Jarawa women. Tourism is also a threat to the Jarawa, with tour operators driving tourists along the road through the reserve every day in the hope of ‘spotting’ members of the tribe. Despite prohibitions, tourists often stop to make contact with the Jarawa. Survival, the organisation protecting the rights tribal peoples has been urging the Indian government to close the road, protect the Jarawa’s land, and allow them to make their own decisions about their future. According to reports, the local authorities announced that they intended to forcibly settle the Jarawa. Forced settlement was fatal for other tribes in the Andaman Islands, and has always been so for newly contacted tribal peoples worldwide. Following a vigorous campaign by Survival and local organisations, this plan was eventually abandoned. 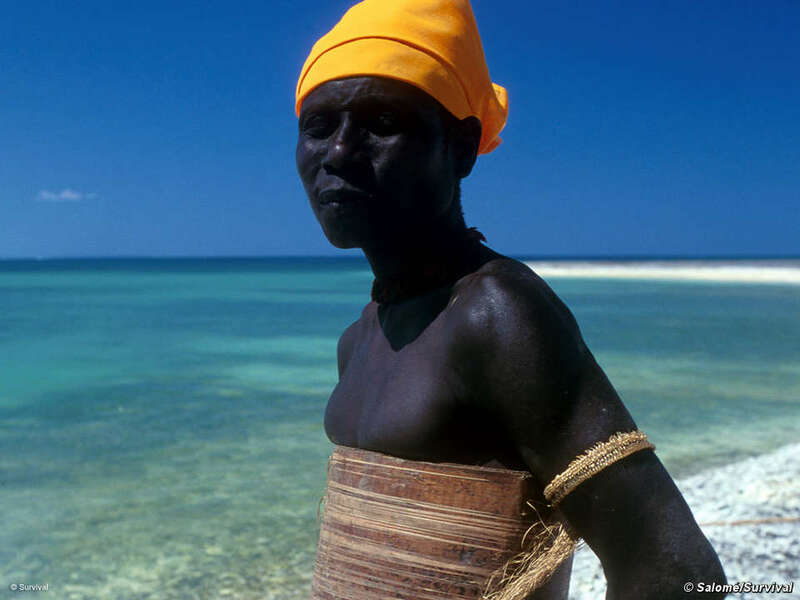 In 2004 the authorities announced a radical new policy, stating that the Jarawa would be allowed to choose their own future, and that outside intervention in their lives would be kept to a minimum. The Indian Supreme Court ordered the closure of the road through the Jarawa’s land in 2002 – yet it remains open, and poaching and exploitation are posing increasingly serious dangers. Survival is campaigning to ensure that the road is closed and the policy of minimum intervention adhered to.For further info on how you can help please visit http://www.survivalinternational.org/tribes/jarawa. Very interesting. I’m definitely going to share this story. Thanks David.